Join us for an evening of mercy at Rosaryville on November 29, 2016 at 7 PM. “The Word became flesh and made His dwelling among us.” (Jn 1:1) The Incarnation changed everything by opening our eyes and hearts to God’s mercy through the person and concrete acts of Jesus. Becky is an Ignatian trained spiritual director, writer, and retreat facilitator. In addition to offering monthly spiritual direction, she leads others through the Spiritual Exercises of St. Ignatius in daily life and directs people on silent retreats. She regularly gives retreats and days of reflections for churches, schools, and ministry groups, and she gives Ignatian preached retreats as well. 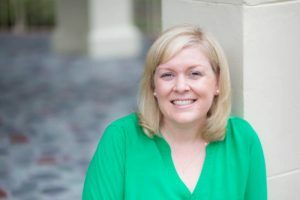 In addition to her 17 years of ministry experience, she holds a Master of Education from LSU, and a Master of Pastoral Studies from Loyola University in New Orleans, and a Certificate of Spiritual Direction from Spring Hill College. She is currently writing a book on Ignatian spirituality and prayer. Becky and her husband live in Baton Rouge, Louisiana and are parents of three children.